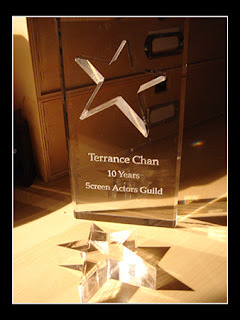 Today, SAG celebrated 10 years of my service to the Guild. It's been an interesting 10 years. My Boss gave me a Top 5 List before presenting he Service Award to me.